The sun is shining and children are almost out of school. If you are looking for something active and fun to get your children outdoors this summer the Pumper Car is the perfect fit! The Pumper Car® is an innovative, award-winning, therapeutic mobility device for children ages 5 to 12. 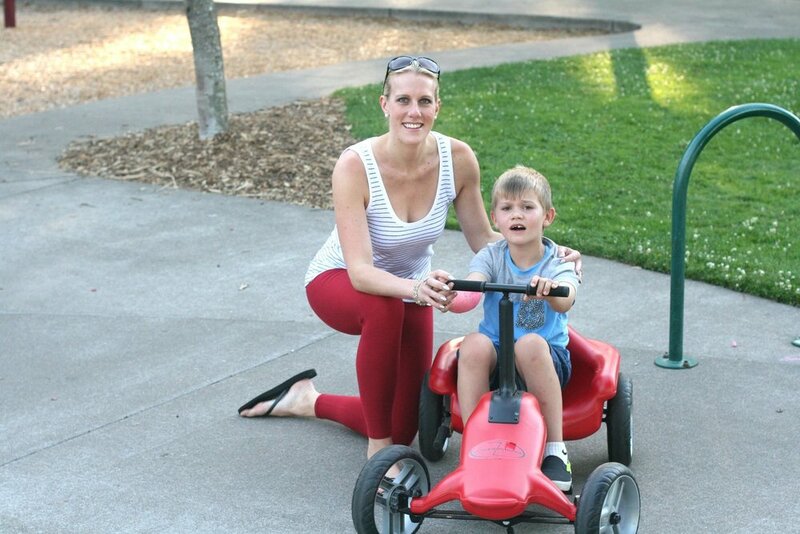 The Pumper Car® Jr. uses the same patented technology and is sized for children 3 years to 6 years. The unique pumping action provides movement for both upper and lower extremities and helps build trunk muscles. Both devices are used in therapy and physical education activities for building endurance and muscle development. For more information go to our features and benefits page. Check out "order now" to get your Pumper Car headed your way today!